A comfortable ride doesn't have to come with a weight penalty. 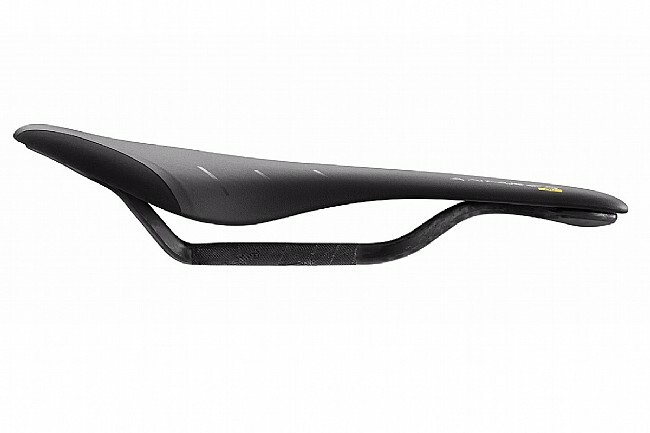 The Antares line of saddles has already become incredibly popular, blending of the best features of the Fizik Arione and Aliante models. 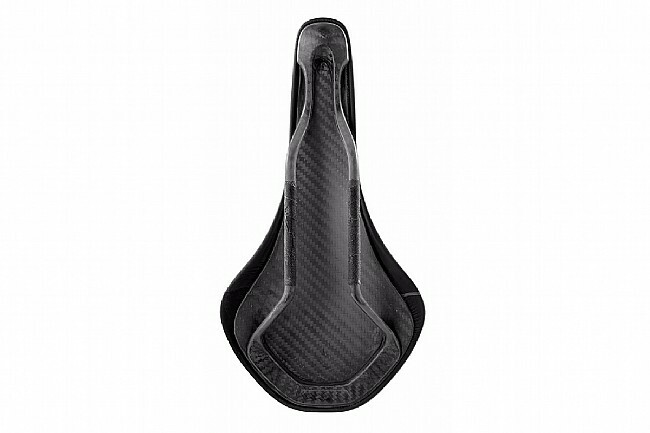 Now Fizik has improved the Antares design even more with the 00 carbon braided saddle. Their sponsored riders asked for a stiffer and lighter saddle with Wing Flex and that is just what Fizik delivered. The shell is made of carbon fiber with a foam core an incredibly light and stiff saddle. Wing Flex uses ribs of elastomers in the thigh contact area which actually mold to the riders body and also provide additional give for greater pedaling efficiency and comfort without compromising support. Microtex cover is durable, breathable, water resistant, washable and lighter than leather. Braided carbon rails round out the impressive package thanks to their lightness, strength and vibration dampening.